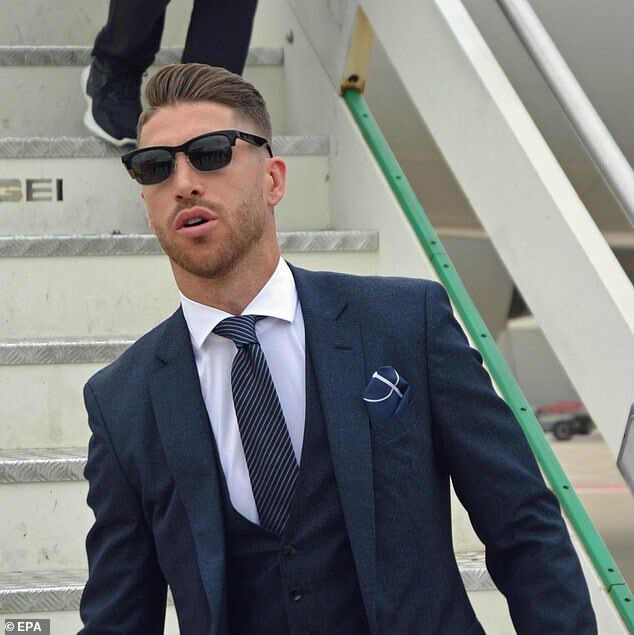 Real Madrid were suited and booted as they jetted off to Italy on Monday morning ahead of their return to Champions League action this week. The reigning champions touched down in the Italian capital in the afternoon as they chase qualification to the last 16 from Group G.
Victory over last year’s semi-finalists Roma at the Stadio Olimpico will confirm Real’s progress and see them become outright leaders of the group. Santiago Solari will be looking for his side to bounce back after they suffered defeat in his first game in permanent charge since replacing Julen Lopetegui. They were beaten 3-0 away at La Liga minnows Eibar on Saturday, their fifth defeat of the season already. Real are sixth in the table and six points behind surprise leaders Sevilla in an unpredictable season so far. But their form in Europe has been far better, a shock reverse away at CSKA Moscow aside. The 5-0 victory at Viktoria Plzen has put them in pole position to qualify from the group stage and continue on their quest for an unprecedented fourth successive European Cup triumph. In the reverse fixture at the start of the group stage Real emerged victorious. Goals from Isco, Gareth Bale and Mariano gave them a 3-0 win at the Bernabeu.